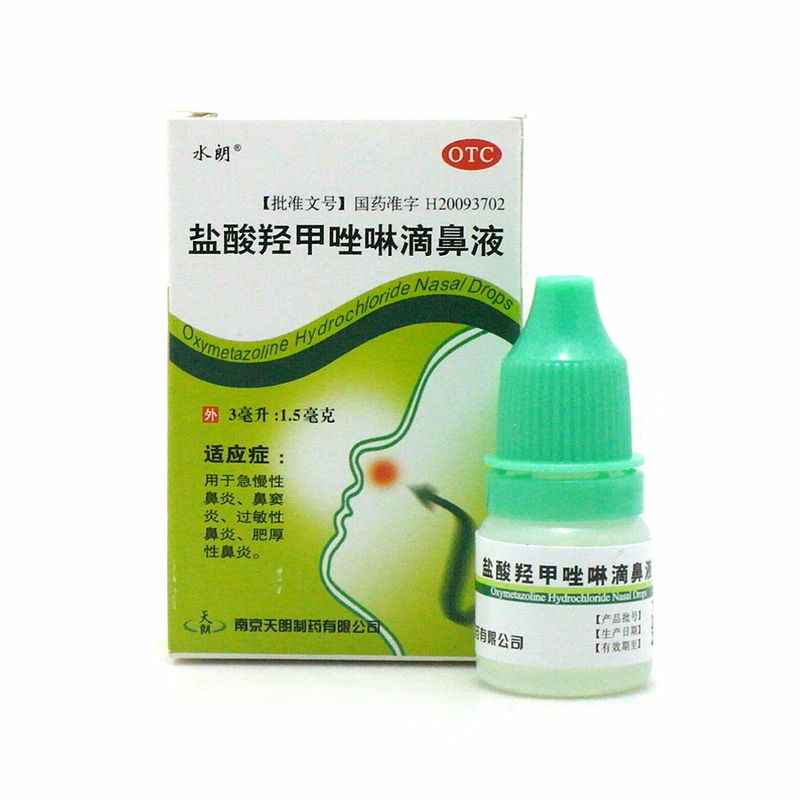 Oxymetazoline Nasal Spray contains Oxymetazoline Hydrochloride which is a decongestant. It relieves a stuffy, blocked nose by shrinking the blood vessels helping to open the nasal passages. It acts within a few minutes and lasts for up to 12 hours. The medicine is a solution which is sprayed into the nostrils to relieve the congestion in the nose and sinuses which you get in conditions such as colds, catarrh and hayfever. Adults, the elderly and children aged 12 years and above Remove the cap. Hold the container upright, place the tip of the spray nozzle just into each nostril. Hold the other nostril closed. Lightly squeeze the container twice as you breathe in through the nose at the same time. Repeat for the other nostril. Wipe the nasal applicator with a clean, wet tissue and replace the cap immediately after application. The nasal spray dose may be applied up to twice daily, or used at bedtime to give relief through the night. Do not exceed the stated dose. Do not use continuously for more than 7 days. This product is not suitable for long-term use (see also section 4 ‘Possible Side Effects’). If symptoms persist, consult your doctor. If you do not understand these instructions or if you require any further information about your medicine, ask your doctor or pharmacist. If you have used more spray than the stated dose, talk to a doctor or pharmacist immediately. • Prolonged and/or heavy use beyond the recommended use of 7 days, may lead to cardiovascular and/or CNS effects.